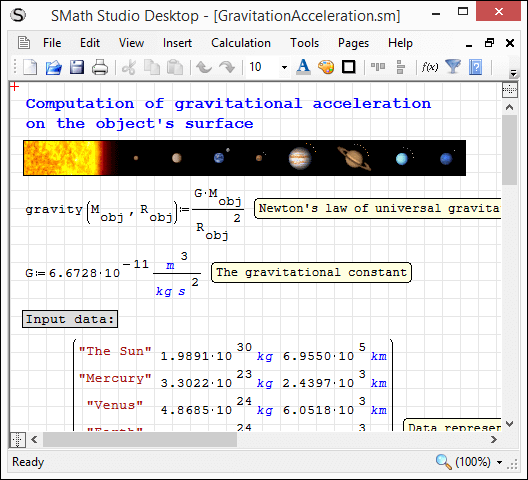 New Beta SMath Studio 0.98.6528 is available! Cursor becomes hidden when user starting type from keyboard and displays back again if any mouse action detected (to prevent situations when cursor overlaps text on the Worksheet). The following functions supports font size now and have vector based rendering implemented: int(2), int(4), for(3), for(4), sum(1), sum(4), product(4), range(2), range(3). The new formatting options look promising. Is there a reason for having all fonts downscaled to 80% in the pre-set configurations? I feel like compensating this by changing the font size to 12. It is just because of diference between fonts: Arial and Courier New. Arial looks more tiny and a bit smaller. But one of the main changes is that now SMath Studio fully supports all kind of fonts to be used in equations, so you can choose any other one you like (it can be done altering C:\Program Files (x86)\SMath Studio\representation\settings.prop file with notepad) or increasing font-size (you can set size=120% f.e.). In future I will provide UI of such kind of customizations, but for now I need to fix several issues related to new approach of rendering equations. Thanks, Andrey. I already saw that the 80% only applies to subscripts. What is the idea about keeping smath sheets consistent between users? The same document can have totally different appearance if the users have different formatting settings. If I scale the fonts up to keep them readable this might create overlapping regions if they were created with different settings. Will there be a choice to make the settings being part of the document? Perhaps with the option that any other user can deliberately override it with his own settings. But then he is in charge for any mess created. formatting.sm (6kb) downloaded 46 time(s). EDIT: The functions are deliberately set to italic in "Standard". Thus this can be fixed using a custom style. 4) UI will be developed to allow anyone to change presets using some convenient dialog with appropriate options but all the changes will become a part of the worksheet. Meaning that settings.prop file will never be changed. Regarding errors you found: almost all of them are known (I also have about 10 others). 3-rd one is already fixed and will be a part of the next build. Changes introduced are very complex, so I expect it will take some time to make something close to ideal. But we will do it! I felt encouraged to play around a bit. I wonder why the font in math regions must be scaled to 120% to result in the same font size as in text regions of the same font. formatting.sm (11kb) downloaded 55 time(s). Yes, and any user should be able to inspect/modify the definitions embedded in a document, perhaps in the document properties. This also applies for calculation settings. One could provide templates (examples?) with certain sets of settings. 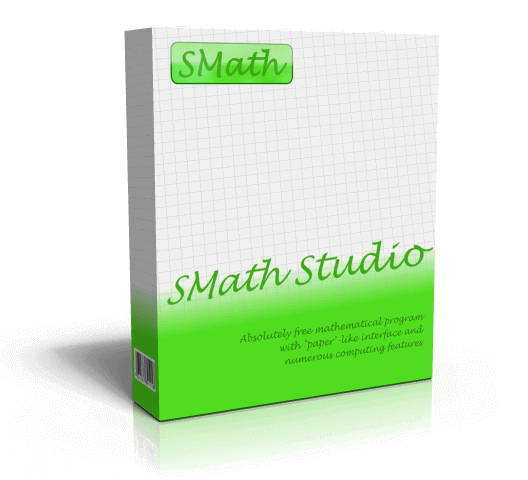 Topic updated - new SMath Studio 0.98.6522 released. New visualization approach improved and polished. The main change is that now SMath Studio knows if function/variable is defined by user or built-in and based on this different fonts may be used for visualization. Note: new default formatting preset defined (I plan to use it in the upcoming stable release). Please try and comment what you think. Thanks Andrey. This new functionality seems to work for me. I love it. I experience some horizontal misalignments (caret position, empty placeholders, ...), I am the only one? You are not the only one Davide. Mathcad 11 was not better at all. 1. Work sheet background color ON/OFF by click, like Mathcad. 2. 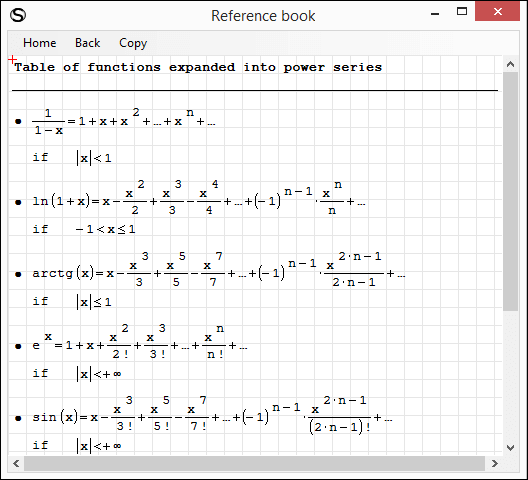 Copy a section of work sheet, paste in IrfanView. Tips.sm (45kb) downloaded 46 time(s). Yes, I'm working hard right now to fix these issues. 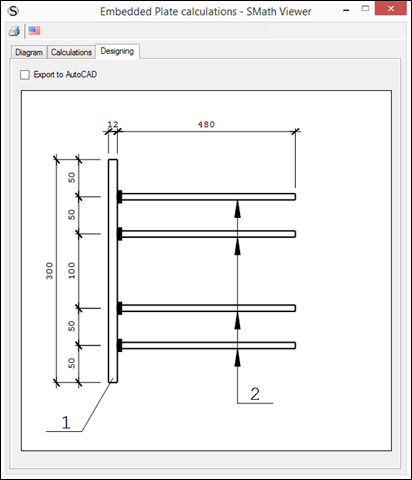 Copy a section of work sheet, paste in IrfanView. Good idea. Will add this feature into the next beta release. 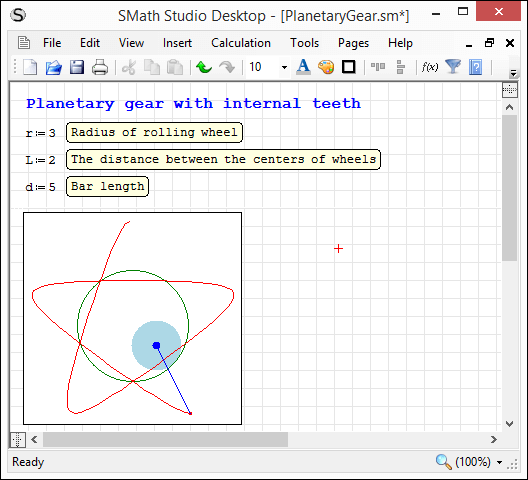 Topic updated: new SMath Studio 0.98.6523 released. Many improvements done for equations visualization, restoring of performance on calculation and new functionality requested by Jean Giraud implemented. Please make sure you are using Default equations formatting (in Options dialog) as this preset is now priority 1. Note: Linux problem is not handled yet. At low resolution/small font size, the old formatting is easier to read, mainly due to the blur of the thin-lined operators. Pasting multiple regions as image is nice. When the maxima-plugin is downloaded from the gallery and the offer to search for Maxima is confirmed, then the setup dialog automatically closes instead of waiting for user input. 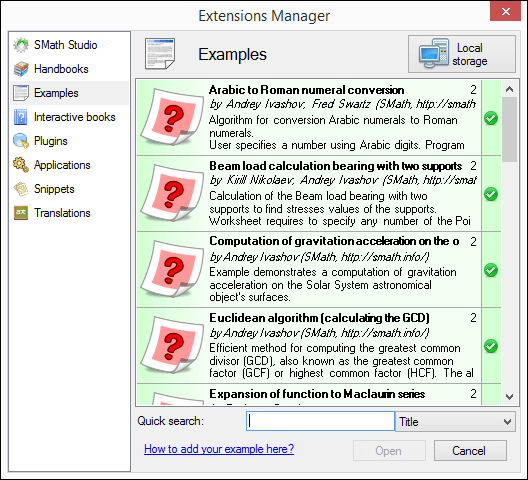 The dialog can only be used after next start of SMath. formatting.sm (28kb) downloaded 41 time(s). Absolutely loving the changes (and software) - great work. Ive experienced some strange font scaling issues in in the two latest builds (using the latest right now). As I change the font size using either the settings menu or the toolbar option, the effect seems inversed and interacting with each other. Furthermore, they dont display the correct font scale value. As I press enter in the first image, one expects the typeface to get larger (from 7 to 14), yet the inverse happens. As I open the settings again, it displays a 10, and thus does not remember the latest changes. This effect doesnt appear to be linear, although its hard to notice when scaling. The problem is not specific to any particular file, but occurs whenever I change font sizes, and persists through restart/new file. The font settings under Tools> Options shouldn't have immediate effect at all. AFAIK this is just the default setting for new documents and can be overridden at any time by the toolbar entry for font size. I'd recommend to clearly indicate the scope of the options in the dialog. BTW, I think that settings like multiple value results and precisions of integrals should have region scope. The reported problem persists (post #11), but it is specified that it is only for the >= and not for <=, > , <.